Welcome to Mrs Usher and Miss Humphries class page. Here you will find all the relevant and latest information about upcoming events and will be able to see what we have been getting up to in Reception. Reception children eat their lunch with the upper Foundation Phase classes and join them on the school playground. 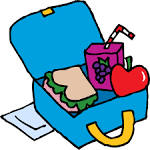 It is your choice whether your child receives a hot school lunch or a packed lunch from home. A healthy, well balanced meal is available for all children every school day. The cost of a school lunch is £2.40 per day. Please put money in an envelope, clearly labelled with your child's name every MONDAY. If you feel your child may be eligible for free school meals, please request a form from the office and return it to County Hall. As part of the 'Healthy Schools' initiative driven by the Welsh Government, please provide your child with a healthy, well-balanced packed lunch to eat in school. Please ensure that all lunch bags, food pots and bottles are clearly labelled with your child's name and class written on it. As part of the Welsh Government's 'Healthy Schools' initiative, Bryn Hafod provides a free, well balanced breakfast for all children aged 4 and above. If you would like your child to attend Breakfast Club, please request a form from the office. Breakfast Club begins at 8 am. Please arrive on time. Children will be allocated homework every FRIDAY. We ask that you take the time to complete this and return on the following TUESDAY. In Reception, we have continuous access to our fantastic outdoor area and garden so we are developing our physical skills all of the time. We have a focused PE lesson in the main Foundation Phase hall every Wednesday. Once your child is ready for a reading book, we will send one home for you to share with your child. Please bring reading books to school EVERYDAY in the book bag provided. Each day we will be doing our 'daily mile' around the playground as part of effort to be a healthy school. Please ensure your child has suitable footwear for them to be able to take part!